Reisen nach Barbados sind weitestgehend sicher. Barbados ist ein Land in Nord-Amerika (Karibik) mit etwa 1 Millionen Einwohnern und einer Landfläche von 431 km². Es liegen aus 3 verschiedenen Quellen Hinweise zu diesem Land vor. Exercise normal precautions in Barbados. Some areas have increased risk. Read the entire Travel Advisory. Read the Safety and Security section on the country information page. The Ministry for Foreign Affairs and Trade Promotion advises Maltese citizens to take normal precautions when visiting Barbados. The Caribbean island is prone to severe weather conditions such as hurricanes and tropical storms. In such weather conditions, travellers should always exercise a high degree of caution, monitor weather updates, and follow the advice of local authorities, including any evacuation orders. "Bridgetown and Cruise Ship" hochgeladen durch Medhat I. "The Capital Bridgetown" hochgeladen durch Medhat I. 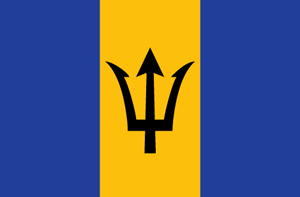 "Bridgetown Barbados!" hochgeladen durch Medhat I.